Should You Change or Rekey Locks? At Great Lakes Security Hardware, we frequently receive calls from Roseville clients who want to change their locks. Most clients are not even aware that there’s an option which is best for them; rekeying locks. You don’t always have to change your locks because you can just rekey locks. Our locksmith first determines whether a client needs to rekey his or her locks or if he or she, in fact, need to replace the locks. Unless a client desires a totally different style or a lock is malfunctioning, our Roseville locksmiths can rekey many locks and keep them in service, operating as well or better than ever. In rekeying a lock, a locksmith removes the springs and pins in the lock cylinder and replaces them with new springs and pins that work with a new and different key. You lose key control once you loan out your keys. With a previously owned home, you do not know who may have had access to the keys. Also, contractors have had access to the keys in new homes. The most common reason to rekey locks is to maintain key control when there’s a change in possession of the property. Key control means accounting for all the keys made to operate the locks of a commercial or residential property. Rekeying removes master pins and eliminates the possibility of another key operating your locks. Locks are construction master keyed in most single-builder communities. The use of homeowner’s key may prevent future use of contractor’s key. However, there are often master pins left in the locks. One master pin doubles the number of keys that can operate a lock. In most instances, as many as 16 different keys would operate the locks of a single home. You can correct several problems without changing your lock. Rekeying allows locksmiths to examine the condition of your lock and its installation. Locksmiths of Great Lakes Security Hardware usually lubricate locks when rekeying; thus making them operate much more smoothly. Then again, the locksmith may discover problems that indicate that you need to change your lock. Allowing rekeying without disassembly introduces many extra intricate parts that cause malfunctions and tend to be easier to bypass than the traditional locks. Therefore, be careful because some lock manufacturers are providing locks, which a consumer can rekey. Such locks aren’t the standard pin tumbler locks that have served as the backbone of the lock industry. Under certain circumstances, you must replace your locks. It’s never a bad idea to upgrade the locks you have. Sometimes, locks wear beyond the point where a rekey can enhance their function anymore. 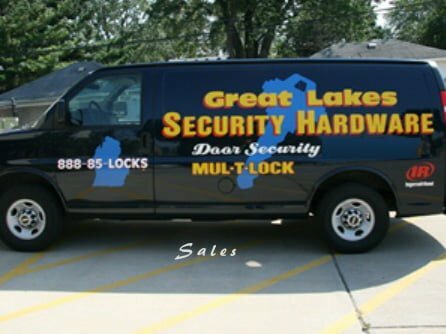 When you consider the property and people that your locks are protecting, it only makes sense to purchase a quality lock from Great Lakes Security Hardware, Roseville, MI. Lever handle locks are attractive and easier to operate than a knob. It suits people who may want to replace their locks to accommodate disabilities or for purely aesthetic reasons. Similarly, deadbolts come with an interior thumb turn that a user can operate without grasping. Electronic locks are also becoming much more popular, but you should remember that they provide greater convenience, not security. Rekeying is a more affordable option than replacing the locks. Consulting with a professional locksmith may be the best way to find out what you need. Should you want to rekey or change your locks in Roseville, call Great Lakes Security Hardware at 888-855-6257. There are times when lock replacement may seem like the best option for a home owner. However, most security experts say that replacing an entire lock often is not necessary. Many locks can be re-keyed, offering the same security upgrade for less money.